Bank/Summer Holidays - See notice board for details. 2 levels of fun designed to develop climbing and balancing skills. Includes ball juggler, scrambling nets and rainbow slide. Large enclosed soft play area and vehicle track. Play your own game in our enclosed sports pitch with football goals, target practice and basketball nets. 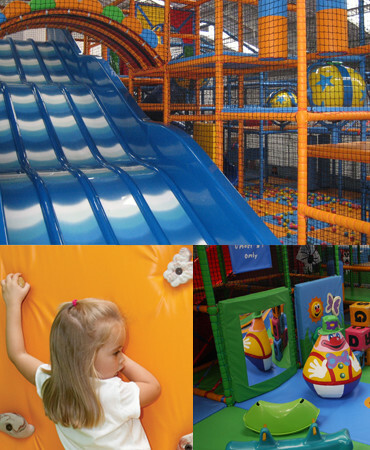 A dedicated safe and soft play area with interactive toys for babies and parents. Our Café offers an extensive menu ranging from snacks and sandwiches to main meals for all the family. All meals are home-made using the best fresh produce.